We welcome any questions or concerns you may have regarding your project and equipment rental questions. 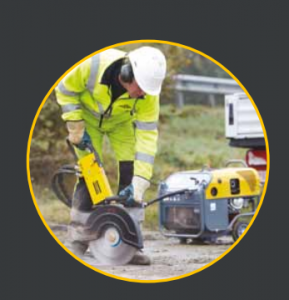 For example, we recently received a question via our quick quote portal regarding Atlas Copco Handheld Hydraulic Cut Off Saws rental. Make a quick job of cutting concrete, asphalt and steel. . Atlas Copco’s hydraulic cut-off saws are simple in design. The direct drive and simple machinery means high productivity and reduced maintenance – especially in comparison with belt-driven saws. 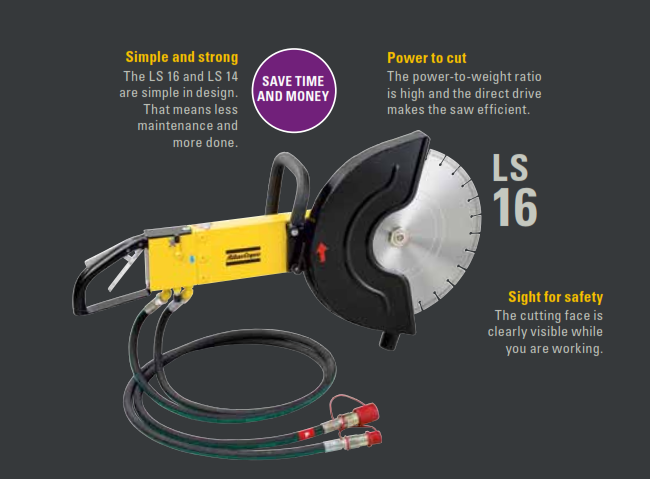 The compact, slim design and open cutting face give you a good overview of your work. 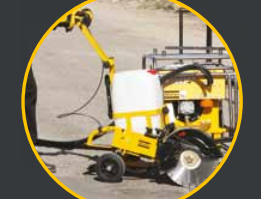 A lightweight cart enables you to use the saws for floor, road and other light surface jobs. And thanks to hydraulics and direct drive the saws work perfectly even under water. 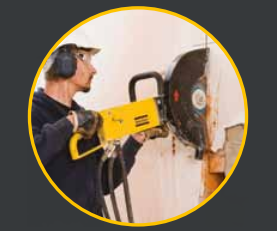 Put the saw to work on concrete, reinforced concrete,asphalt and steel. Use dry and wet diamond discs and abrasive steel cut ting discs. 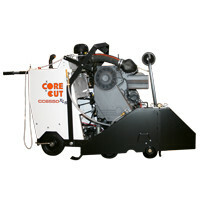 With the optional lightweight cart you can make straight cuts with ease.